I became aware of JAMsharp through fellow independent music lover Peter Kent, who posted some photos on Facebook of their recent gig at Hoxton’s Underbelly. A trio of classically-trained musicians, song writers and performers with an original and highly infectious style. 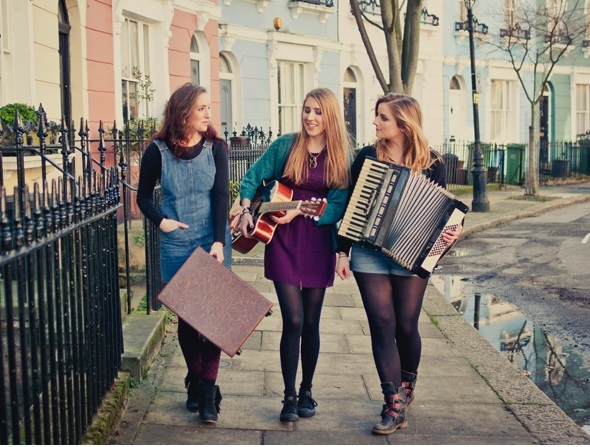 Taking full advantage of their musical training, they use piano, accordion, guitar and cajon to great effect, pulling it all together with some haunting and totally delicious harmonies. 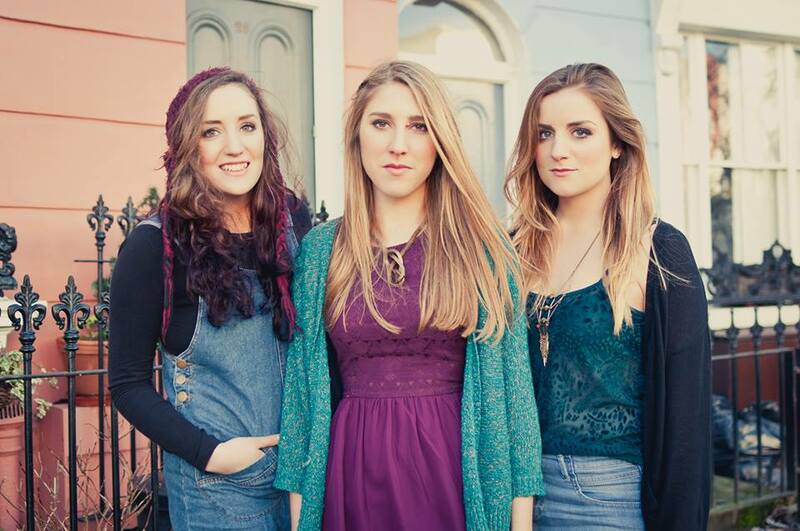 Based in London, the girls formed in 2012 and since then have been touring the gig circuit and gaining new fans and admirers. Their brand new debut EP Pink Skies, is a collection of six tracks, some original, some covers combining their vocal prowess with large doses of imaginative and original instrumentation. Pink Skies is a piano-led ballad which soon turns into a delicious cacophony of masterful harmonies. To assign a genre or musical style to this song would be impossible as it combines elements of traditional folk with gospel and a touch of soul. Can’t Hold Us opens with the sounds of a sombre accordion. It soon becomes apparent this is a very clever cover of Macklemore and Ryan Lewis’ epic song when the angelic chorus turns into the familiar hook of this monster hit with a bit of high-speed rap thrown in for good measure. Charmless is a gentle guitar-led ballad adorned with the band’s signature accordion and those magnificent vocals and harmonies. With the ever-increasing influx of new independent artists and new songs, JAMsharp# offer a unique style, and originality which will take them to the next level and the success they so richly deserve. Download Pink Skies right now from all good download sites, and make sure you go and support them at a gig near you!